“Richard and Joyce were raised in the Polish Hill section of Pittsburgh. They were both taught by the Sisters of Holy Family of Nazareth at Immaculate Heart of Mary Elementary School. Richard went on to high school at Central Catholic, and Joyce attended Mount Nazareth Academy,” said Nancy Zabrowski. “I went to my one of my school reunions, and I felt a void since my husband had just passed away. Someone at Holy Family Manor asked me if I would be interested in helping them. I agreed and did volunteer work answering phones. “One day at work, I was talking with one of the nuns, and she mentioned they had a lot of broken dishes. I told Richard about it and the company he works for Lane Steel in McKees Rocks, generously purchased new dishes for the sisters,” Joyce said. From there, things kind of snowballed as Joyce, Richard and Nancy and their children decided to host a Christmas party for the retired nuns. 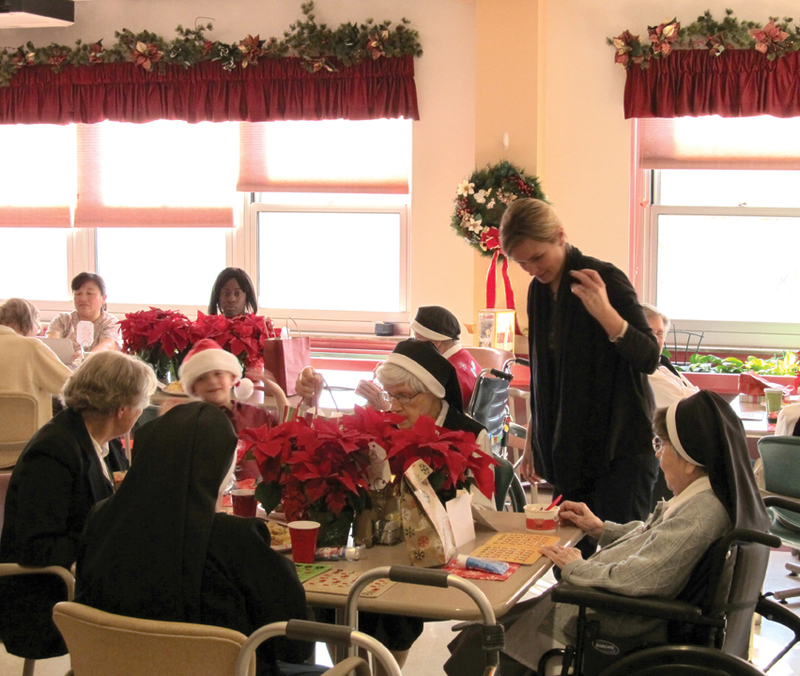 Eventually, a personal care home was added to the facility and the residents were invited to join in the holiday festivities. An annual tradition had blossomed and is still going strong 10 years later. “This year’s party will be held from 1-3 p.m., on December 1 for approximately 70 people. Our grandchildren and some of their friends are now helping as well. It is a really good family project. Richard’s employer, Lane Steel is still very much involved. They buy beautiful poinsettia for all of the residents, “Nancy said. “It is always a great time and a fun party. We have an ice cream social thanks to Bruster’s of Lowries Run Road. Partygoers are also treated to homemade cookies and punch, and we play bingo and other games. The nice part is we make sure that everybody gets a prize,” said Joyce. 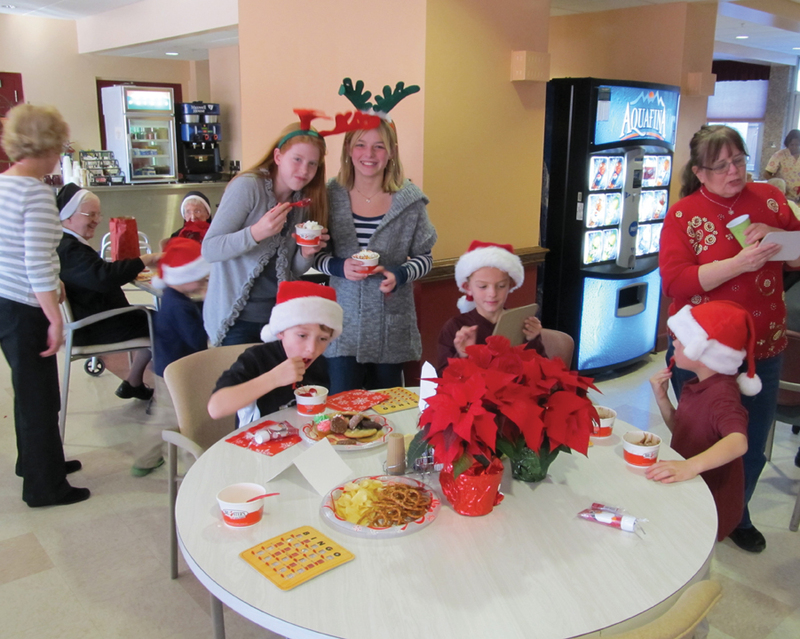 The holiday party at Holy Family Manor is a family tradition that the Zabrowski and O’Hare families plan to continue for years to come. It adds some sparkle to the Christmas season.